Although the “Golden Years” are a time for rest and relaxation, it’s still important for seniors to work at keeping their minds sharp. Research shows that seniors who are cognitively active are 2.6 times less likely to develop Alzheimer’s Disease or dementia. Developing a routine for mental exercise is just as beneficial as physical exercise, especially for older ones who are at risk for memory loss. Caregivers who care for seniors in their home can set daily tasks in their homecare system or homecare software, like ClearCare Online, to remind seniors to engage in mentally stimulating activities. There are many interesting and exciting ways all of us – seniors included – can improve our brain’s functionality. Here are just a few. Get Creative. Stimulate your imagination by drawing, painting, sculpting, writing, sewing, making jewelry, taking photographs. The sky is the limit when it comes to hobbies that engage the mind and help promote problem-solving skills. Learning a new craft also forces your mind to remember specific details – improving the quality of your memory. Enroll in a college course. 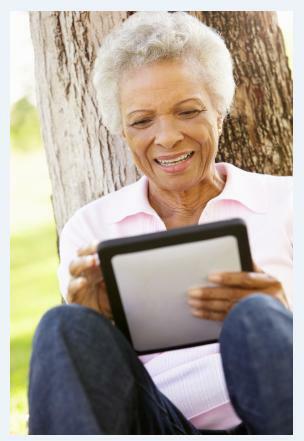 Even seniors that are homebound can enjoy learning new things by attending college courses online. Many classes are offered at a discount for seniors. For those who receive in-home care, tell your caregiver to set a daily reminder for your classes in their homecare system or homecare software. Stay Connected. Studies indicate that maintaining an active social life may delay memory loss. If you’ve fallen into an isolated rut, now is the time to dig yourself out. Join a club, church, or sporting league. Find an online community that shares your interests, or connect with family and friends using social media. Keep track of any social engagements using ClearCare Online’s homecare system. Play Games. Board games, crossword puzzles, Sudoku – even video games – are excellent ways to improve cognitive function. A recent study found that seniors were able to perform mentally as well as they did in their thirties after spending 40 hours with brain training software. Check out Nintendo’s “Brain Age” games, or read our recent post on video games for more ideas. Exercise. A healthy body promotes a healthy mind. Exercise has proven a key factor in memory reinforcement – especially for seniors. A homecare system or homecare software, such as ClearCare Online, can alert caregivers to remind their senior clients when it’s time to exercise. 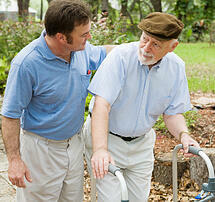 Caregivers can also monitor their clients’ progress – or note any concerns – using their homecare software. Improving your memory can help you stay healthy and independent well into your golden years. This is also the primary objective of ClearCare Online’s homecare system and homecare software, which was designed to help seniors live comfortably in their own homes as they age. Don’t let time – or your memory – slip away from you. Call today and ask what other ways ClearCare Online can benefit you!